The Louisville Zoo plays a vital role in helping to develop an appreciation for and a sense of responsibility toward the magnificent animals and plant life. This living classroom contains some of the largest and rarest animals found on our planet. It is the role of the Louisville Zoo Education Department to share these wonders by increasing an awareness of natural history, conservation issues and interrelationships among living things. Knowledge and appreciation of wild creatures will be a decisive factor in the survival of these animals and their habitats. A Zoo visit is primarily an outdoor walking experience. Our Zoo includes hills of varying grades as well as open terrain and shaded areas. Please remember to dress appropriately for the weather and wear comfortable footwear. 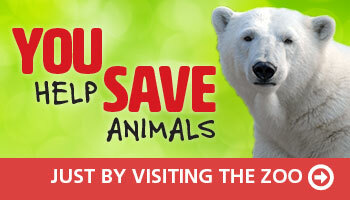 Teachers, chaperones and students can visit the Zoo on their own. Introduce your students to a wild adventure by registering for a self-guided field trip! Self-guided field trips are a great way to see the Zoo at your own pace while you enjoy the Zoo’s engaging animal ambassadors and their dynamic habitats. Invite your students to help raise funds to help preserve precious species. We bring the Zoo to you! These one-hour presentations offer a blend of science and language arts through the use of engaging stories, natural history and up close animal encounters. A unique all-day, week-long program held during the Zoo’s off season.